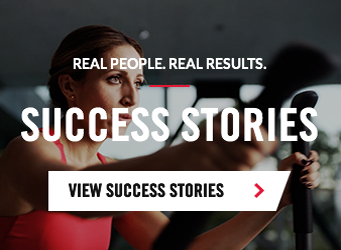 Walk, jog or run your way to incredible results with the Bowflex Results Series™ BXT116. The BXT116 specs were chosen based on competitive research and come with a lot of great bells and whistles such as a convenient media rack with USB charging capability, Comfort Tech™ deck support, an integrated calorie-focused burn rate console and built-in speakers. If function and affordability are your thing, look no further than the BXT116. A quality motor goes a long way. The 3.75 CHP Motor was designed with durability in mind, delivering powerful performance at an affordable price. The BXT116's continuous duty horsepower motor delivers a smoother, quieter workout! As Compact As It Gets. When it comes to saving space, we take pride in engineering compact products that fit in nearly any room of your home. The BXT116's Soft Drop™ design delivers the promise of safety with a gas shock folding system that provides a gentle descent every time. A Softer Landing & Unparalleled Support. Finding a comfortable deck is important. Our Comfort Tech™ design provides impressive impact absorption, a softer landing and unparalleled support. Plus, easily find your footing with a wide 20x60" running path, designed with your results in mind. Everything at The Touch of a Button. Smart design is the epitome of creating an excellent user experience. Our easy to navigate, surprisingly soft and responsive gel buttons ensure that you have everything you desire within reach. Your incline, speed and programming are now just a touch away.